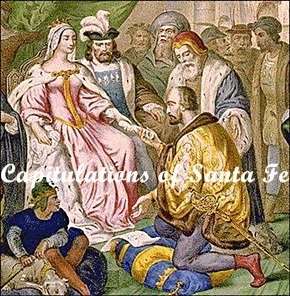 1492 – The Capitulations of Santa Fe between Christopher Columbus and the Catholic Monarchs (Queen Isabella I of Castile and King Ferdinand II of Aragon) were signed in Santa Fe, Granada. The agreement promised Columbus that if he succeeded in finding a western route to the Orient, he would be given the rank of Admiral of the Ocean Sea and appointed Viceroy and Governor of all the new lands he could claim for Spain. He would also promised 10 percent of all the revenues from the new lands in perpetuity. 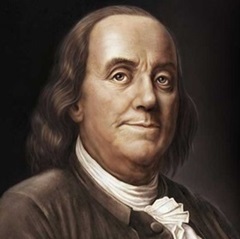 1790 – American statesman, printer, scientist, and writer Benjamin Franklin died in Philadelphia at the age of 84. He had been a delegate at the Continental Congress, and in 1776, helped draft the Declaration of Independence. He succeeded in 1778 in securing two treaties that provided the Americans with significant military and economic aid. In 1783, Franklin helped negotiate the Treaty of Paris with Britain, which officially ended the Revolutionary War and recognized American independence. 1864 – The state of Virginia’s secession convention voted to secede from the United States, becoming the 8th state to join the Confederate States of America. The following day, Union Colonel Robert E. Lee was offered a role as major general to command the defense of Washington by presidential advisor Francis P. Blair. Lee replied: Mr. Blair, I look upon secession as anarchy. 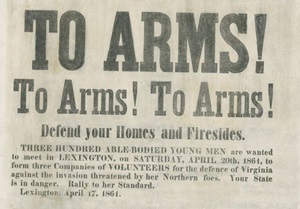 If I owned the four millions of slaves in the South I would sacrifice them all to the Union; but how can I draw my sword upon Virginia, my native state? Although privately opposed to secession as “nothing but revolution and an unconstitutional betrayal of the efforts of the Founding Fathers,” Lee resigned his position three days later and took command of the Virginia state forces. 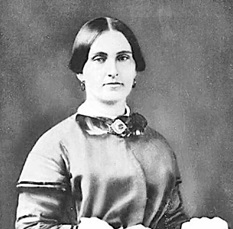 1865 – Federal soldiers, investigating the death of President Abraham Lincoln, visited Mary Surratt’s boarding house in Washington. The agents found a picture of John Wilkes Booth, pictures of Confederate leaders including Jefferson Davis, a pistol, and a mold for making bullets. As Mary was being arrested for conspiracy to assassinate Lincoln, Lewis Powell appeared at her door in disguise. Although Surratt denied knowing him, Powell foolishly claimed that he was a laborer hired by Surratt to dig a ditch the next morning. The discrepancy and Powell’s unusually well-groomed appearance, quite unlike a ditch-digger, prompted his arrest. He was later identified as the man who had attempted to assassinate Secretary of State William Seward. 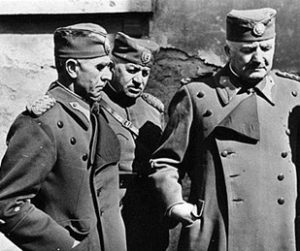 1941 – Representatives of Yugoslavia’s various regions signed an armistice with Nazi Germany at Belgrade, ending 11 days of futile resistance against the invading German Wehrmacht. More than 300,000 Yugoslav officers and soldiers were taken prisoner. Only 200 Germans died in the conquest of Yugoslavia. 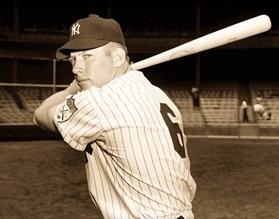 1951 – Mickey Mantle made his major league debut for the New York Yankees in a 5-0 win over the Boston Red Sox. Baseball fans with sharp eyes will notice the future Hall of Fame outfielder was wearing #6 on his uniform. He wore that number until July 15, 1951, when he was sent back to the Triple-A League Kansas City Blues. He was called back to the Yankees on August 24 that same year and was then assigned #7. 1960 – Rock star Eddie Cochran (Summertime Blues, C’mon Everybody, Twenty Flight Rock) died the day after a taxi carrying him from a show in Bristol, England, crashed on the way to the airport in London. Cochran, who was thrown from the vehicle, suffered a severe head injury. 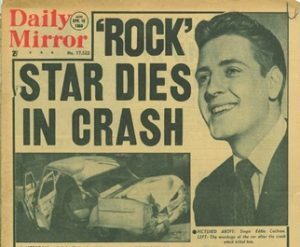 Gene Vincent (Be Bop A Lula), traveling with Cochran in the cab, suffered a broken leg and would walk with a limp for the rest of his life. 1961 – The Bay of Pigs invasion began when a CIA-financed and trained group of Cuban refugees landed in Cuba and attempted to topple the communist government of Fidel Castro. The attack was a complete failure. Though many of his military advisers indicated that an amphibious assault on Cuba by a group of lightly armed exiles had little chance for success, President John F. Kennedy gave the go-ahead for the attack. 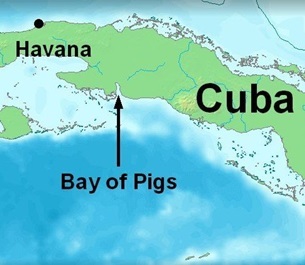 1,500 exiles, armed with American weapons and using American landing craft, waded ashore at the Bay of Pigs in Cuba. The plan immediately fell apart when the landing force met unexpectedly rapid counterattacks from Castro’s military. The United States refrained from providing necessary air support. Over 100 of the attackers were killed, and more than 1,100 were captured. The failure at the Bay of Pigs cost the United States dearly. Castro used the attack to solidify his power in Cuba and he requested additional Soviet military aid. Eventually that aid included missiles, and the construction of missile bases in Cuba sparked the Cuban Missile Crisis of October 1962, when the United States and the Soviet Union nearly came to blows over the issue. Kennedy tried to redeem himself by publicly accepting blame for the attack and its subsequent failure, but the botched mission left the young president looking vulnerable and indecisive. 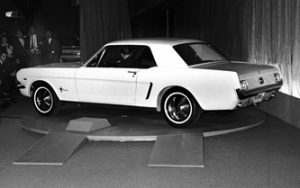 1964 – The Ford Mustang, a two-seat, mid-engine sports car, was officially unveiled by Henry Ford II at the World’s Fair in Flushing Meadows, New York. That same day, the new car also debuted in Ford showrooms across America and almost 22,000 Mustangs were immediately snapped up by buyers. 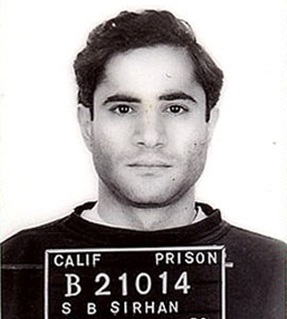 1969 – Sirhan Bishara Sirhan was convicted for the 1968 assassination of Sen. Robert Kennedy. Six days later, he was sentenced to death in the gas chamber. His sentence was commuted to life in prison in 1972 after California abolished the death penalty. 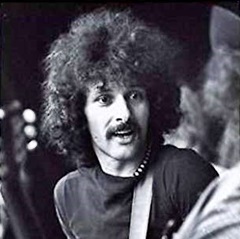 1983 – Musician Felix Pappalardi was shot and killed by his wife, Gail, with a derringer he had given her as a gift a few months earlier. He is best known as the bassist and vocalist of the band Mountain, whose song Mississippi Queen became a classic rock radio staple. He had earlier been involved with the British power trio Cream, producing their albums Disraeli Gears and Wheels Of Fire. Pappalardi was shot once in the neck in their fifth-floor East Side Manhattan apartment. Gail Collins Pappalardi was charged with second degree murder, but claimed that the killing was an accident. She was acquitted of second degree murder and manslaughter, but found guilty of criminally negligent homicide and spent two years in prison. 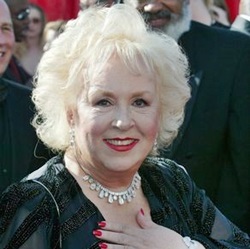 2016 – Actress Doris Roberts following a stroke. She was 90 years old. In a career that spanned six decades, she appeared in over 30 films, but found true success on television, becoming known for her role as Mildred Krebs in Remington Steele, and her role as Marie Barone (Raymond’s mother) on the long running sitcom Everybody Loves Raymond. 2018 – Barbara Bush, the First Lady of the United States from 1989 to 1993, died of congestive heart failure at the age of 92. The wife of George H. W. Bush, who served as the 41st President of the United States, and the mother of George W. Bush, the 43rd President, she left a legacy of her own. 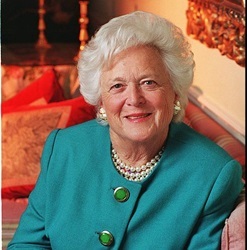 Family literacy was Barbara Bush’s cause as First Lady, and she called it “the most important issue we have”. She became involved with many literacy organizations, served on literacy committees and co-founded the Barbara Bush Foundation for Family Literacy. Great read Ray!! I still remember wondering if we were going to war with Cuba!! As I recall we were very high on the bombing list and we sat and waited to see if this would happen!! Had a 65 Mustang loved it!!! Cuba was a problem for a long time, Fred, but a ’65 Mustang is a sweet memory!